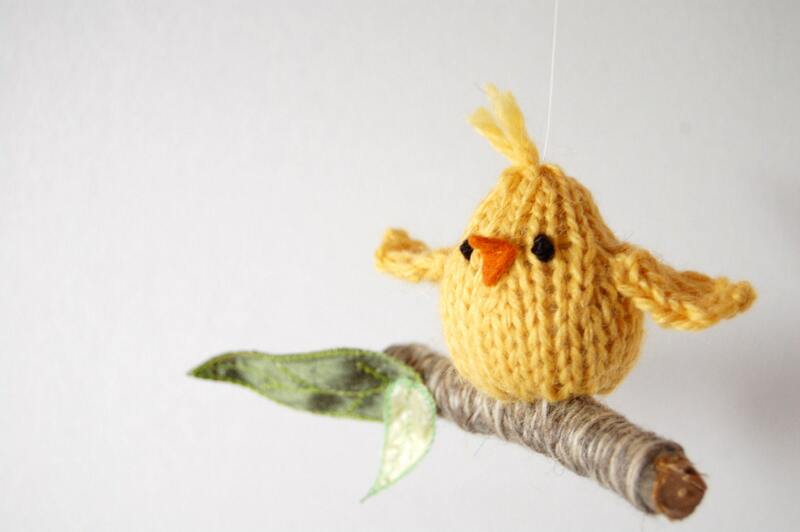 This little bird swinging on a branch will add a touch of whimsy and brighten any room or be a charming holiday ornament. 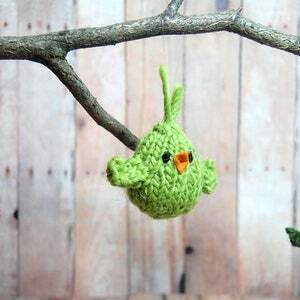 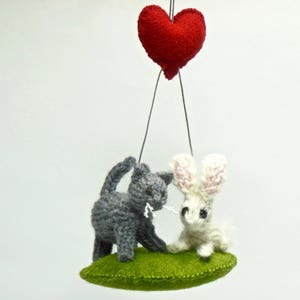 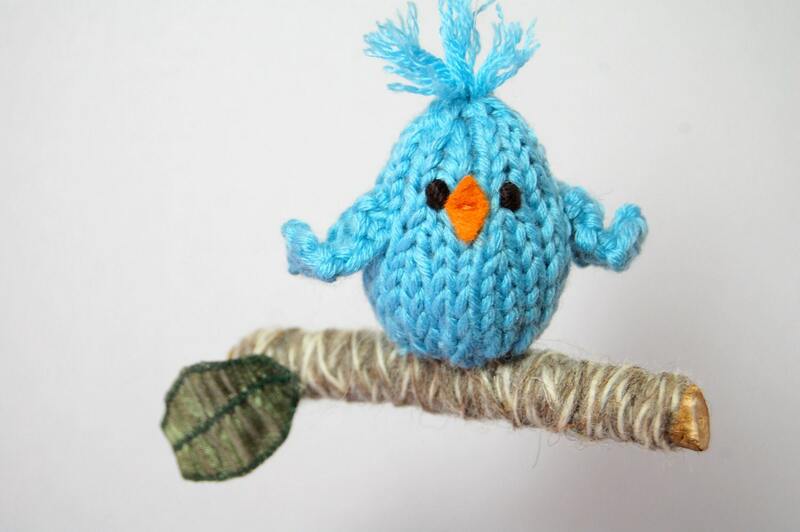 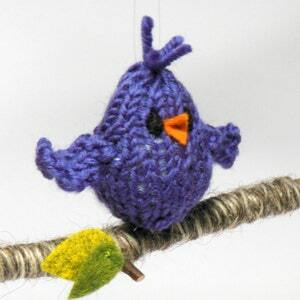 The bird is hand-knit, embroidered, and stuffed with high-quality natural fibers and it perches on a real beech branch wrapped with wool yarn. 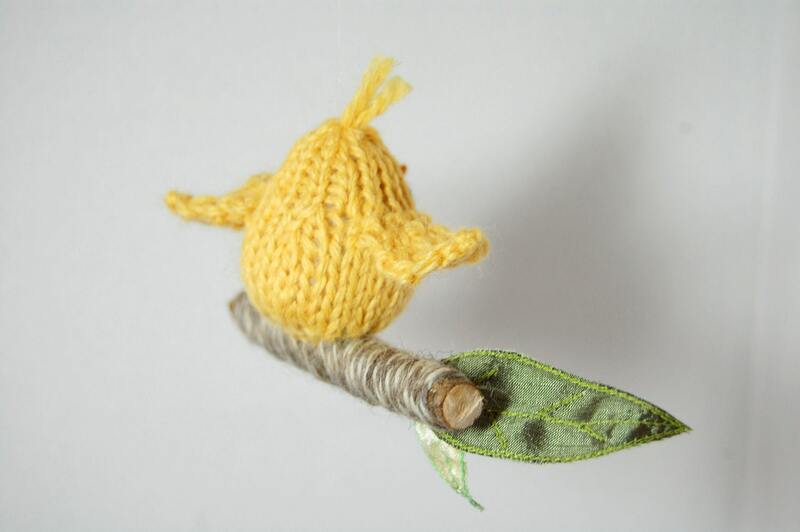 Sprouted silk dupioni leaves accent the mobile and add a bit of shimmer. 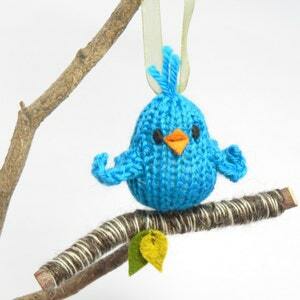 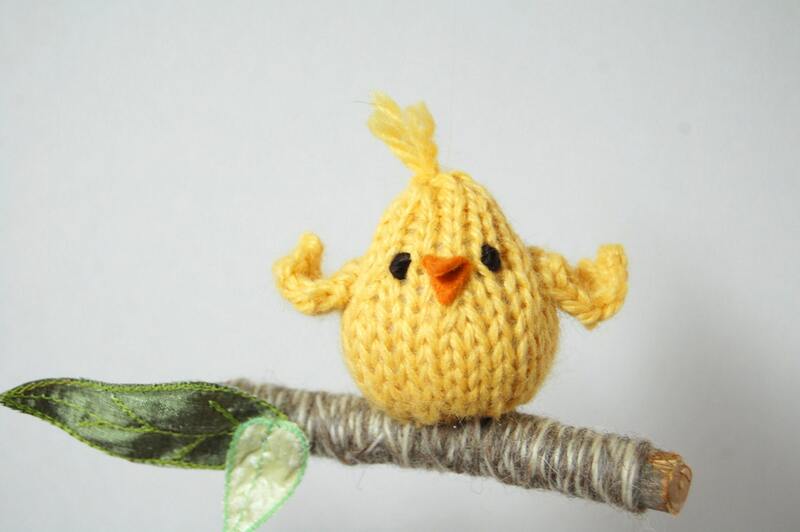 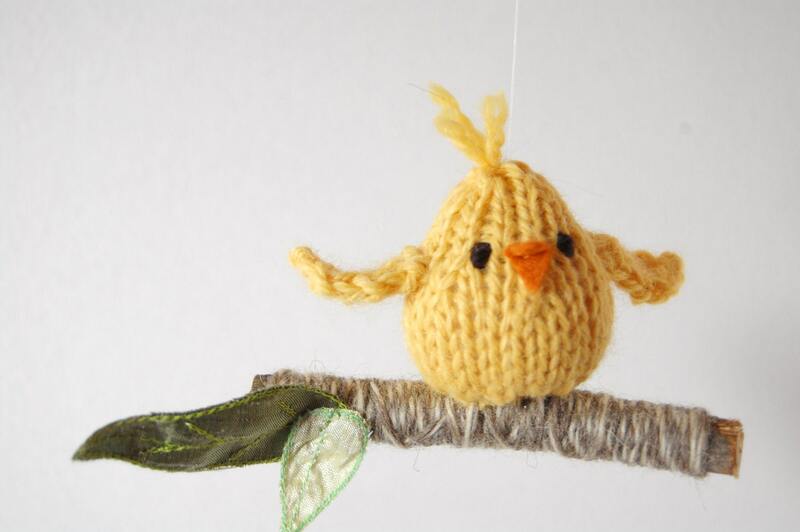 The yellow bird (2+" tall) perches on a 3.5 - 4 inch branch.